 Industrial Clutch Parts Ltd. supply a complete range of Coremo Mechanically Applied Caliper Brakes. Available in various sizes, designed to obtain a range of torques varying from 2880 - 39,800 N.
Coremo Manual Brake Type B is suitable for industrial applications generating a clamping force through mechanical operations. Each turn of the handwheel increases the clamping force by 97.2 N. The brake is suitable for applications where static, continuous or service braking is required. Coremo mechanically actuated brakes are the ideal braking solution for applications where the brake is not continually turning; if the air supply is not available, it remains possible to mount a brake. Perfect for simple industrial machinery where the need for continuous braking is not required. Coremo Mechanically Applied Brake Type B has been manufactured for easy and simple operations. It can ONLY be installed horizontally so that the weight of the thruster does not rest on the levers. The SG iron material withstands mechanical and thermal stresses generated in compliance with satisfactory safety coefficients. Lining pads can be adjusted to ensure that the friction surfaces grip the brake disc at all points. Quality controls ensure a reliable, safe product and trouble-free caliper operation.